K : oh hey, where are you from ? K : oh so everyone in this room is chinese, I mean where in China ? K : and why are you here ? are you traveling ? K : can you spell it again ? K : Whattt ??!!! 7 days ??!! how much did you pay ? I’ve never heard about this place before nor been listed on my china’s itinerary. No, I knew nothing about this place. It would be such an impulsive decision of mine, if I made it. I was just too scared of going to a new place where I couldn’t find any English articles talking about this place on internet. Oh God, that would be the horrible silent moment experiences PART 2 ! (read here the part 1). So, I said NO, I am not going. I went out for dinner and came back still with crazy thoughts about Yading Nature Reserve. Nobody could have been asked about how to go to this place, a chinese girl whose the only one has been there always using a google translate to speak to me, and she did join a tour for that trip, which I couldn’t rely on coz pretty sure she knows nothing about public transportation to reach this place. I should have left from Chengdu straight to Shangri-la, but it has been postponed, I extended my stay in Chengdu for one more night, because I didn’t feel that confident to start this route as I haven’t got enough information whether it’s possible to do solo travel to Yading Nature Reserve and taking a low budget transportation or not. I did research a lot from internet, and barely asking people. At the end, all I can depend on is, my crazy yolo faith and my insane curiosity that lead me into so much adventure so far. 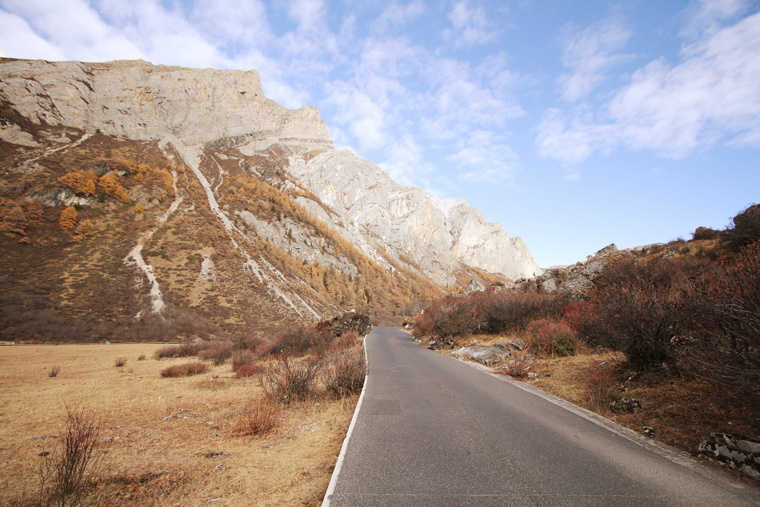 Okay, there are 3 options you can choose from Chengdu to Yading Nature Reserve. All of the options would be ended up in Daocheng since this is the main city of this area, from Daocheng to Yading takes 2-3 hours. There are 2 transportations, airplane and bus, and no train. 1. Fly from Chengdu to Daocheng Yading Airport. This option was impossible because ticket price was 500 USD for one way. But, I just currently check the price for the next couple months in 2017, it showed the normal price which is around 250 usd for one way ticket. So, if you're taking a plane, you'll be landed on Daocheng International Airport. I am not sure whether there is a direct minivan from Daocheng airport to yading or not (you should check once you landed). Flying will always be my last option since I really like doing overland more. Overland for me is a part of adventure and there were always unique experiences through the journey which mostly contained of the true local experiences. 2. 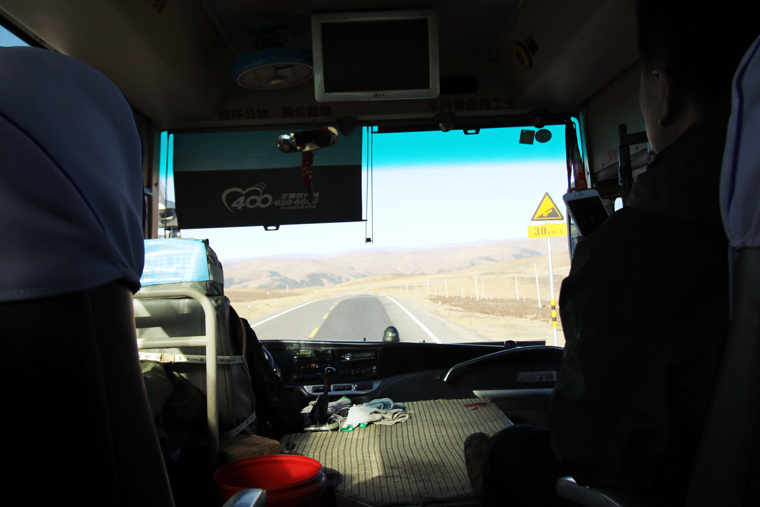 Bus Chengdu – Daocheng. 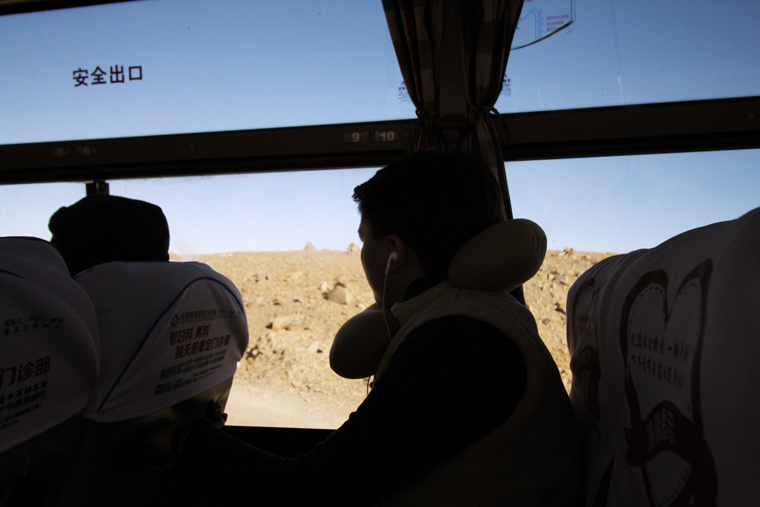 The bus will depart from Chengdu bus terminal and go direct to Daocheng via Kangding. 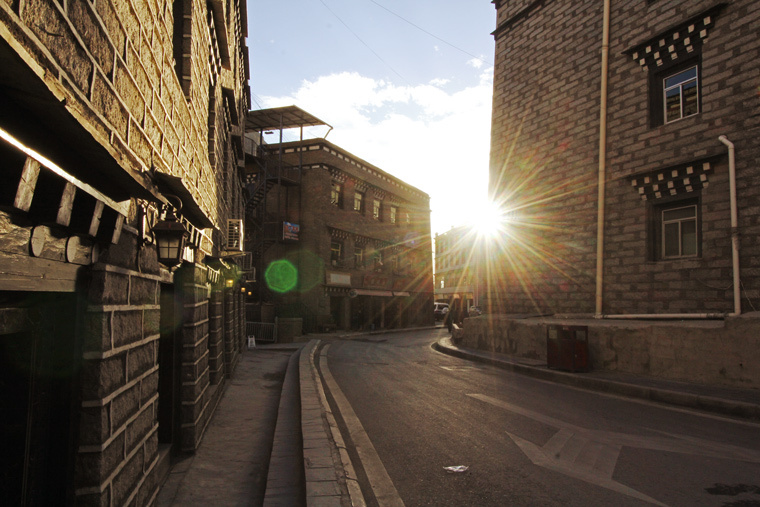 It will take 8 hours to Kangding, and the bus will stay overnight in Kangding, you need to find your own accommodation for overnight. The only bus to Daocheng will go in the morning at 06.00 am which means passengers should arrive at Kangding bus terminal 20 minutes before. 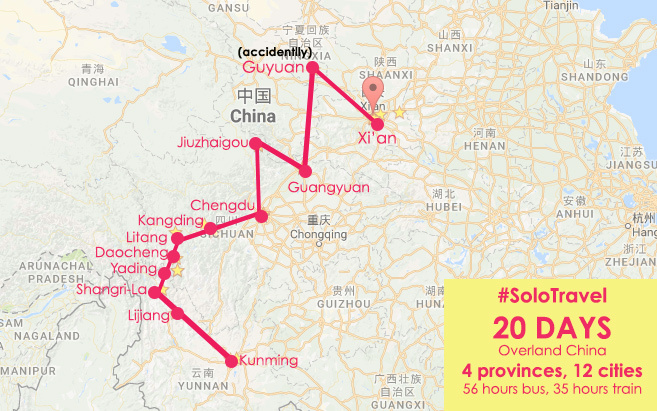 I knew it already that this bus route would transit overnight in Kangding, so I made another plan to not only transit in Kangding but also stayed 2 nights in Kangding (read my story in Kangding). You need to buy the ticket in advance at least, one day before. Online booking for bus ticket is not available, so you have to buy on the bus terminal. I left Zhilam Hostel and headed to the Bus Terminal at 04.30 am, because there is only one bus going to Daocheng in a day. The bus was pretty on time, and I was ready for the next 11 hours. I am pretty sure, There is no long distance executive bus in this route (I don’t know for the rest china areas), they are all economy bus with no AC (well it’s really cold tho, but no heater as well), hard seat and sometimes, so smelly. A chinese guy who look like a Tibetan sat on the window seat while I got an aisle seat. Almost people in this area have that Tibetan face as they live in the border between China and Tibet. A father and son who were sitting across me dress up in Tibetan style, a boy covered himself with blanket made from yak’s skin, his nose full of snot that I couldn’t even take a look at him. A teenage chinese girl in front of my seat had never stopped staring at me, I didn’t know what was on her mind but, isn’t it annoying when there is a stranger keep looking at you for the next 11 hours ? so, I said “NI HAO !” she smiled and asked me “WHERE YOU FROM?” I said “Indonesia” and you ? I am china, she replied. Oh where in China ? (I tried to have a conversation). No more English talk, she just replied my question with giggling, and that’s the end of weird stare. It was full of savanna and hilly views. 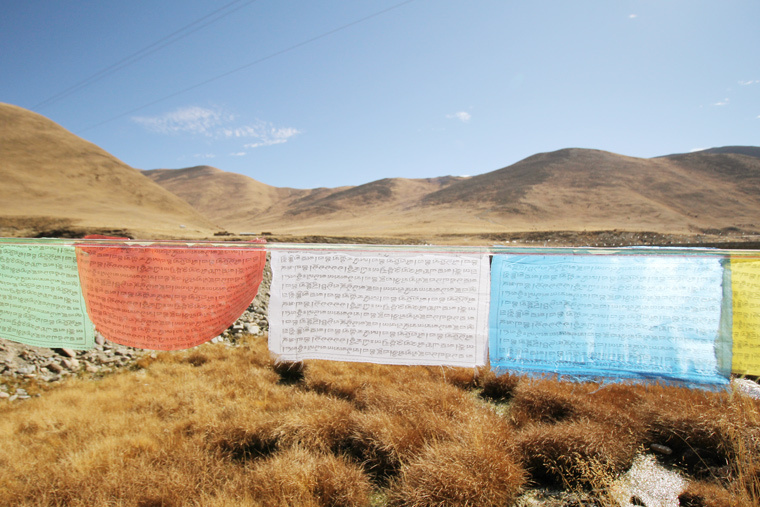 A never ending single road surrounded by hill ridges, yaks were walking around, and praying colorful flag in some particular places. We stopped for lunch in a canteen that serve a mixed Tibetan and chinese food. Usually you need to pay 30 rmb and they will serve the food for you, there was only one menu and ready food. 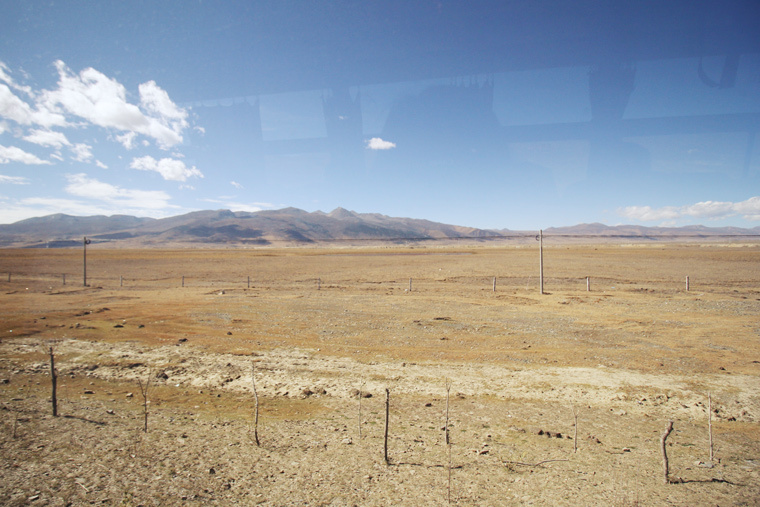 The bus will stop couple minutes in Litang, an area which popular with “the small Tibetan town in China”. 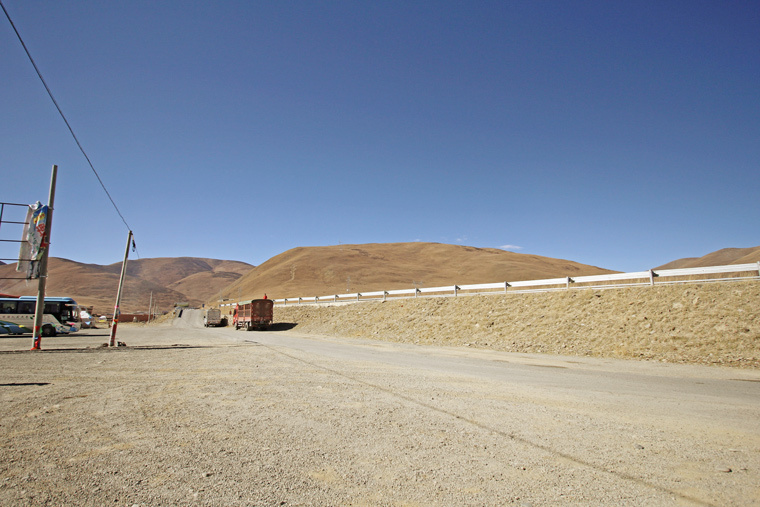 Litang is the closest area in China that close to Tibet Border. At an altitude at 4,014 meters, Litang is actually higher than Lhasa, Tibet (3,490 meters), the highest town in the world. Passing through the rolling mountains and grassy valley, I finally arrived in Daocheng, the last city to reach Yading at 04.00 pm. It could be easier looking for hotels in Daocheng, but it’s still 2 hours to reach Yading, so I suggested whenever you arrive in Daocheng, please continue to go right away to Yading. Once you go out of the bus, there will be some people asking for a sharing car to Yading, they have the same prices, so don’t worry, you wouldn't get scam. It’s 50 RMB for 2-2,5 hours, ask the driver to stop at your hotel/hostel. 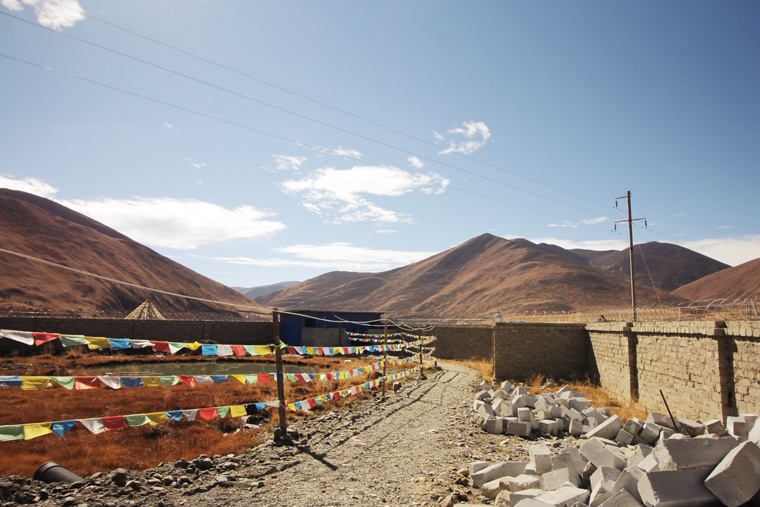 The minivan will stop at small town in the foot of Yading Nature Reserved named Riwa (the new Shangri-La). It’s a very small town with only several population living there. I Checked in to the hostel that I haven’t booked yet, because there is no hostel appear in Riwa at all the online booking websites. But there was one exist in YHA websites, it has address and phone number. I tried to call the number, but no answer. So, I just confidently went to the place, but when I arrived, there was no one in the hostel. The hostel was real but, there was no life in it. The receptionist desk was full of dust, there were couple of doors heading to the room, but they were all locked. I kept yelling “HELLO !! NI HAO !” and waiting for almost an hour, till finally a girl came up from a building that located behind this hostel while chewing a watermelon seeds. She didn’t speak English of course, and I used google translate to ask. You know what was the first thing did I ask ? “WILL I BE THE ONLY GUEST THAT STAY IN THIS HOSTEL ? 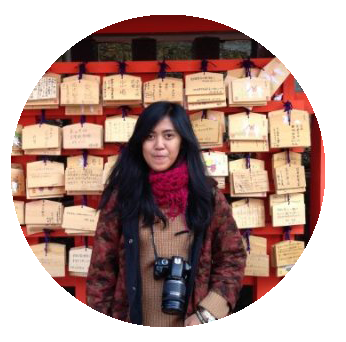 she nodded…..And it became creepy story since then…..